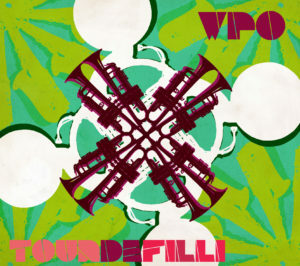 WPO albums “Live at Tritone” and “WPO” are now available for streaming and download from Fly Bottle Records! NEW ALBUM “TOUR DE FILLI” IS OUT! DOWNLOAD YOUR VERY OWN COPY HERE. Subscribe to our Patreon to receive exclusive links sent to your email once a month, of a recording of a brand new song in progress with unlimited streaming. Tour de Filli features 10 original compositions that are inspired by Balkan brass traditions and thoroughly infused with the jazz, grit and soul of Philadelphia. As powerful on the dance floor as it is fit for headphones, the album’s 11 tracks match gut-punching beats, whirling, virtuosic horns, and soaring vocals with thoughtful, kaleidoscopic arrangements that merit repeated close listenings. 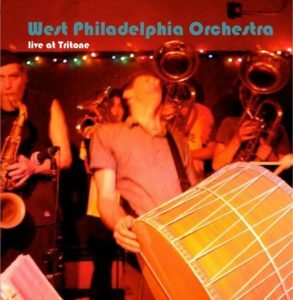 West Philadelphia Orchestra developed its sound by playing monthly gigs at the legendary Tritone Bar on South St. Always more chaos than concert, more of a party than a performance, this live album captures the band in January 2012, just months before Tritone closed its doors. 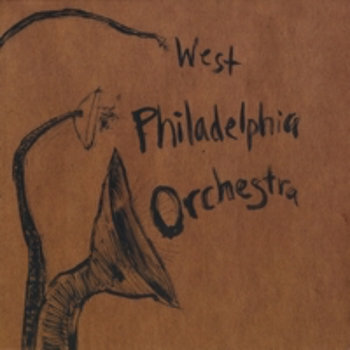 Recorded in 2008, WPO was the band’s first studio record. Featuring strings, brass, percussion and the vocals of Jack Ohly and Janos Perge, this record includes WPO’s original line-up and catches the band at a transitional moment.